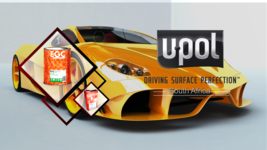 Barkocel(Pty)Ltd was appointed by U-Pol as the sole importers of the world class automotive refinish range to South Africa in 2009. All products are imported directly from U-Pol's manufacturing facility in the UK on a monthly basis and warehoused at our Head Office in Johannesburg and distribution warehouse in Cape Town. Deliveries are made to all corners of South Africa on a daily basis either through our own drivers or dedicated courier partners. Both locations has dedicated Sales and Technical teams with more than 50 years combined automotive experience to meet with the demands of Body shops and DIY enthusiasts to ensure that you get it right first time, every time. 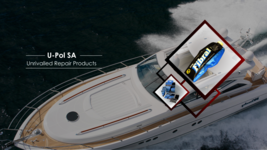 U-POL is a World leader in automotive refinishing products specialising in fillers, coatings, aerosols, adhesives and paint related products. Recognised globally with sales in over 100 countries, U-POL is committed to consistently providing customers with high quality products that professional technicians demand. Our heritage and 70 years experience in the industry, coupled with our continued investment in state-of-the-art manufacturing facilities and reputation for innovation, ensures that your U-POL experience is nothing less than world class. 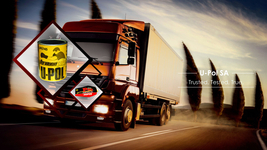 U-POL has a comprehensive range of fillers and coatings and we are uniquely positioned to deliver solutions developed, tested and approved for the modern bodyshop. We know your reputation matters and that’s why U-POL is investing in future innovation, to help your team get it right first time, every time.